Cooperative relaying is a technique for wireless communications promising gains in throughput and energy efficiency. The basic idea sounds simple: A device transmits a data signal to a destination. A third device overhears this transmission and relays the signal to the destination as well. Finally, the destination combines the two received signals to improve decoding. This concept gives rise to pure wireless self-organizing networks without any need for base stations. It can be employed in various applications of networked embedded systems. Cars use it to communicate directly with each other, for instance, to exchange reports on accidents, traffic jams, or bad road conditions. Autonomous robots may use it to build a wireless network in areas without infrastructure, e.g., in deserts and in space. “Using communication techniques where devices cooperate to transmit signals over the air exploits a new, distributed form of spatial diversity that mitigates the negative effects of signal fading and interference,” states Christian Bettstetter. The task of relay selection is an important building block to realize cooperative relaying in practice. Devices located between sender and potential receiver must agree in a distributed manner as to which of them will act as relay and thus promote wireless communication. 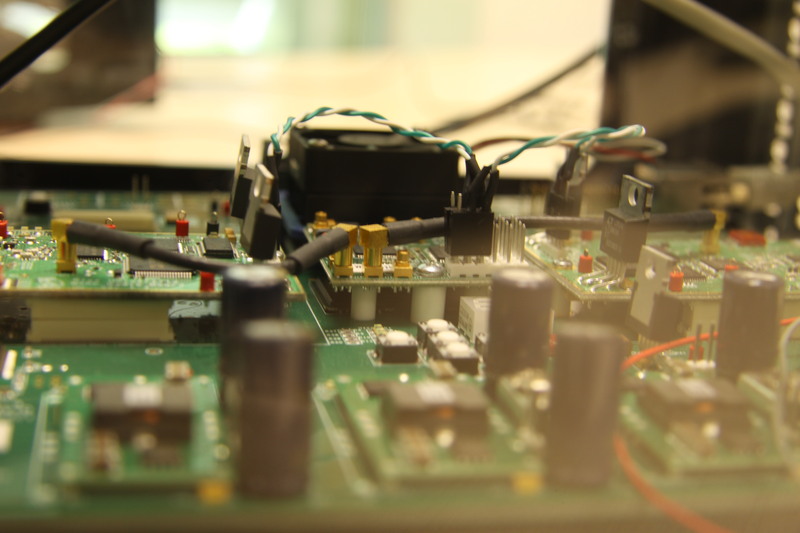 To perform this task, Bettstetter’s PhD student Helmut Adam developed a relay selection protocol that is backwards compatible to the standard IEEE 802.11 WLAN protocol, specified this protocol and filed its main ideas in two patents. An inherent feature of his approach is a method that estimates the number of potential relays around a sender. His colleague, Nikolaj Marchenko, takes a more theoretical approach. He uses Markov chains to model and evaluate relaying protocols taking into account the achieved throughput as well as the required energy and signaling traffic for communications. “My goal is to find the best-suited relaying technique for a particular environment, and I am also exploiting cooperative relaying for multicast communications,” he says. Lakeside Labs research, however, exceeds mathematical models and equations. Results have been implemented and tested in real-world setups. A programmable hardware platform is employed to perform measurements in vehicle surroundings and in industrial halls. “These measurements reveal as to which scenarios our relaying solution yields an improved performance compared to existing techniques,” researcher Günther Brandner points out. Developing such a prototype is sometimes very demanding. All three lower layers of the protocol stack have to be programmed on an FPGA-based board.